All thoughts, opinions, feels and whatever else contains my mind-numbing words are my OWN!!! THE FEELS SHALL NEVER BE LEFT AT THE DOOR!!! With Christmas creeping upon us, it's time to crack on with those Christmas PV's to get us into the festive spirit! So, crack on we shall! NUTCRACKER!!! ... Okay, so there is no Nutcracker in this PV, though it would be cool if, at some point, I did find an Idol PV with a Nutcracker in it, and Clara. I would love a Nutcracker story-themed PV, actually. It would be cool!!! And getting back on track... this isn't actually an Idol PV, because the group that I shall be looking at today are an R'n'B group, and not some tiddly pips who squeak their way through a soundtrack and look adorable. 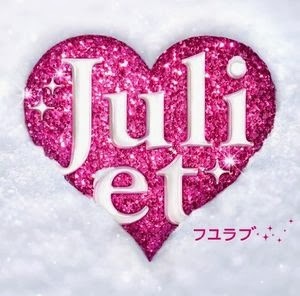 No, this is Juliet, a womanly group made up of Gyaru models who are just, well... perfect? Amazing? Absolutely breathtaking? Talented? Any of those work for me, and as you can tell, I think quite highly of them. It also has to be said that I also lurve their second single's title song, Fuyu Love, released all the way back on October 7th, 2009. Yikes, that was four years ago and a bit! Been a while... but that said, this is also the second single to be released under a seasonal theme, right after their debut single Natsu Love. But is at as lovely as the song seems to sound from just the title...? Well we'll actually talk about the song in a bit, right after I've had a look at the PV itself beforehand in all its winter-themed glory, because honestly, it is quite a pretty video to watch. Sure, it's rather simplistic and minimal, and the storyline behind the video isn't the strongest or most obvious like other videos Juliet have provided for us over the years, but for one of their earlier releases... it's still a rather solid release I believe, and the actors used as well as Juliet themselves did a pretty fantastic job at creating the atmosphere for Fuyu Love. Is... is that KAT-TUN's Kamenishi Kazuya!? I've only watched the PV a few times, but I already know that I enjoy it a great deal and I find that the video itself, despite the simplistic look and the less than obvious plot, has a lot of emotion and meaning behind the video itself, allowing the viewers to feel a sense of sadness, and then companionship, throughout the entire video as we watch these people, some with friends and some lonely, come together towards the end to show that no matter who you are, whether you are strangers, lovers or friends, you can find someone to spend the winter with and someone to love. ... I may be sprinkling the cheese a little heavily here, but I do like the meaning I have found behind the video... mostly because it's cute and cheesy! But honestly though I do think that the scenes present in the video that are from the viewpoint of the bystanders are a lot more saddening than I initially thought they would have been. I mean, given that the song is called Fuyu Love, I thought that I would watch a cute, fluffy video about a couple in the Winter spending their time together on a date or something, but instead there are scenes wit a few solo passer-bys, watching others or looking lonely or saddened. Yeah, there are also scenes where people are smiling at text messages or hanging out with friends, but the amount of scenes that left me feeling slightly saddened by the characters present were more than the happier scenes... but that is a part of the charm of the video I think, and these scenes do tie in well with the sound of the song, which isn't happy, cute and lively like one would think. I will be honest and say that I do find the video itself a bit confusing in terms of what the storyline or moral behind it could be, but I do think that the emotions and symbolism behind the visuals are what create the atmosphere and plot for the entire video. 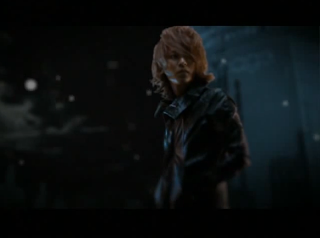 The symbolism and emotions are also one of the main reasons for why I like this video. I mean, despite the fact that it's clear that the characters within the video are all searching for something and feeling lonely in the Winter, the rest of the video can become a little hard to figure out... but after a few views, the meaning behind the video did become a bit clearer for me, and I liked the idea behind it that I had picked up on. ... but the following scene is a little more saddening, as we see the same girl without her partner as she lies alone in the snow. It's a rather depressing scene depending on how you view it when you first see it, but it does mean something different I believe, especially when she opens her eyes and smiles. But how the previous scene was played out, and then followed by this scene, it became clearer what the meaning was behind the visuals showing them together, and then the girl alone. Such as how even if you are far apart, the connection between you is still there, and you can come together despite your distance. This scene represents that idea perfectly, that you can be together whilst being apart from each other. I find that this video has dealt with the meaning well, showing us the importance of this special connection these people have through the use of their phones, and how they have come together through one device, making it as if they are by each others sides, rather than being apart from each other. And that is essentially what the entire PV represents; being together, regardless of the distance between others. You can be together no matter what, because there is always a way to connect to those you care for. Of course there are also scenes with Juliet themselves, in all of their gorgeous glory, and a few of their scenes (especially Maiko's (centre)) are pretty powerful as well in terms of how they express themselves and the emotions behind their eyes as they sing along with the lyrics. Admittedly, they really don't do much other than sit where they are and sing, but the way they sound and express themselves is a lot more powerful than your average Idol group I believe, and when they sing, I pretty much believe the emotion behind their voices and their facial expressions. Especially Maiko. She has a very powerful way of expressing herself, and she truly is a treat to watch in the video. They all are, but Maiko has the most power behind her actions and vocals. You can see (and hear) why she is the centre for Fuyu Love. Looking at the song, even the sound of Fuyu Love is a powerful and emotional track. It has happiness and sadness behind it, with the vocals of Hami, Yumi and Maiko creating such a perfect, meaningful atmosphere with their amazing voices. When I listen to Fuyu Love I want to feel happy, but I also want to cry because there seems to be a little bit of pain behind the lyrics of Fuyu Love. The video and how it looks helps in how the song plays out I believe, but even when I listen to the song by itself, I find that there is sadness, happiness and comfort mixed into the vocals and instrumental, creating a rather bitter-sweet song about love within the winter. It's warm, but it's also cold, but it somehow brings everything together and creates that perfect atmosphere for this song and video, allowing us to view the difficulties of being together in the winter, yet still being able to be with each other through various connections. This is only the second single from Juliet, yet it is so wonderful in its own way. It has a mature approach, a mature look, and a beautiful sound to it that is rather addictive and enjoyable. 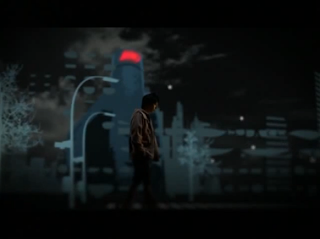 The sound is so bitter-sweet, just like the video, but it creates the perfect atmosphere and brings across the emotions behind the video flawlessly. As a song and a video, I find Fuyu Love a breath-taking release from Juliet. It looks simple and pretty, but from what I can see, there is so much more meaning behind the video than what meets the eye, and that is what makes it so much better for me as a viewer and fan of Juliet and their winter filled with love.